This 6th edition of Minor Illness or Major Disease helps you differentiate minor illnesses which can be safely managed in the pharmacy, and major diseases. Brian Addison, Alyson Brown, Ruth Edwards, Gwen Gray are from the School of Pharmacy and Life Sciences, Faculty of Health and Social Care, Robert Gordon University, Aberdeen, UK. Minor Illness or Major Disease eBook discusses in detail the diagnosis and management of frequently encountered ailments in community pharmacy practice. 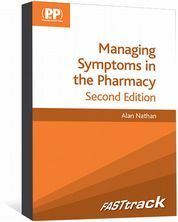 As well as being a well-established undergraduate textbook, this book aims to aid pharmacists with differentiating between a minor illness and a major disease that would need immediate referral to a medical practitioner. 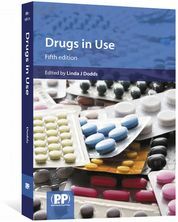 Carries a further reading section at the end of most chapters, focusing on reviews and evidence of the efficacy of over-the-counter medicines. 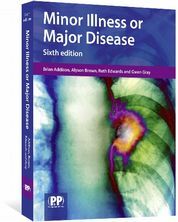 Minor Illness or Major Disease is essential reading for pharmacy undergraduates and pre-registration students. It is also invaluable for community pharmacists. ...The sixth edition of Minor Illness or Major Disease provides us with a timely update to what is already a stalwart within the Community Pharmacy practice resource library." ...The book is well structured and easy to use. The tables are clear and concise and the photographs and illustrations are of the highest quality. It should be read by pharmacy undergraduates and preregistration trainees, and it will also be of great value to community pharmacists." Laurence A. Goldberg, The Pharmaceutical Journal, 26 September 2016. 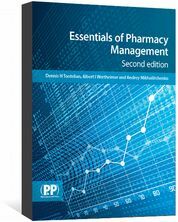 "an excellent introductory chapter explaining the role of pharmacists in the community...The book makes use of handy, user-friendly tables, chapter summaries and other features...This would be a useful companion book for those studying pharmacy and it could be helpful in course work in ambulatory care and /or used as a supplement for students in their ambulatory and /or community practice experiences"